The word “CREDIT” is derived from Latin word “credo”. Bank lending is important for the economy in the sense that it can simultaneously finance all of the sub-sectors of financial arena, which comprises agriculture, commercial and industrial activities of a nation. Lending of money to different kinds of borrowers is one of the most important functions of commercial bank. Not only this it is the most profitable business of the commercial bank and the major source of income but lending is a risky business. The nature of their activities, the location of business, financial stability, earning and repayment capacity, purpose of advance, securities all differ and their degree of risk also differ. Although all lending involve risk yet a bank as to go with it for earning profit and economic up liftmen as well. But the fact is this while going on lending; a bank should be careful in selecting a borrower and must give paramount importance to it. This may ensure safety of the lending of a bank. In general credit means the granting of a period of time by a creditor to a debtor at the expiration of which the latter must pay the debt due. Loan & advance is an important part of a bank. Deposit extraction & credit extension is the basic function of a Bank. Proper credit management is the crying need for a Bank. So every Bank follows some policy of direction, monitor, smooth approval & review of lending operation for the proper credit management. NCCBL extent it credits facilities to trade & commerce, small & medium enterprises within the policy guidelines of the Bank & Bangladesh Bank. Credit Investigation refers to the assessment of the loan proposal/venture/project/enterprise from different angles with a view to justifying soundness of the same. It is easier to find out a depositor than finding out a good borrower. Public money, in the hands of bad borrower, is never saved and secured. Then, whom to lend? In short, the answer is to lend to an entrepreneur. Who is an entrepreneur? An entrepreneur may be defined as a person who, for attaining his own pecuniary interest as well as mental satisfaction together with offering additional services and well-being to the society at large, under takes efforts to collect together various types of necessary goods, labor materials, other wealth etc. and by means of application of his wisdom, foresight, creativity, devotion and self-confidence, takes initiative to add additional utility and value to the collected materials and wealth by bringing change and or modification in their form. He manages affairs and loan sanctioning authorities must be acquainted with technique to take correct lending decision so far borrowers attribute is concerned. When a loan proposal has to be processed a banker first studies the loan application made by the borrower. A loan application usually contains information pertaining to the name of the concern, constitution, nature and place of business, year of establishment, borrower’s experience in the line, particulars of assets and liabilities, purpose of advance, amount required, the period of advance applied for, nature of security offered, sources of repayment etc. After receiving the loan application form, NCCBL sends a letter to Bangladesh Bank of obtaining a CIB (Credit Information Bureau) report. The purpose of this report is to being informed that borrower has taken loan from any other bank, if ‘yes’ then whether these loans are classified or not. After receiving CIB report if the bank thinks that the prospective borrower will be a good borrower, then the bank will scrutinize the documents. If all the documents are properly filled up and signed then comes processing stage. In this stage, the bank will prepare a credit proposal. If the borrower is the customer of the bank, a study of the borrower’s account and his /her past dealings will throw light on the aspect of keeping up commitments, borrowing else-where etc. which will assist a banker in judging about creditworthiness of the borrower. If the account shows a good turnover, and the cheques were never returned for want of funds, which will give an impression about the volume of business of the borrower as well as his/her honest dealings. If some of the parties to whom cheques are issued are known to the bank, further independent enquiry would be possible. If he/she is having account with other bank, he/she may be requested to show the relative passbook and/or statement accounts so that all accounts can be studied side by side. A confidential opinion about the customer from his/her pray bankers should be obtained. The borrower should be requested to supply the statement in regard to his/her assets and liabilities. It is always preferable to have audited statements for the last three years. In addition, the lending banker must arrange to obtained a copy of the latest income tax statement of the borrower from which it will be possible to estimate his/her income. Similarly his/her sales tax return will give an idea about the sales. In case of limited companies, the audited balance sheet and profit and loss account for the last three years must be obtained to assess the financial position of the company and various financial aspects of the borrower’s business. Other sources of information about the borrower include press reports regarding purchase and sales of property, Auctions and decrees, registration, revenue and municipal records can also be referred to with advantage to verify the properties owned by the borrower and charges thereon, if any. If the borrower happens to be a limited company, a search of the records of the registrar of the joint stock companies should be made for finding out if there are any prior charges or mortgage on the company’s assets. After having collected all the information from outside sources, it is advisable to arrange for a personal interview with the borrower. The questions must be suggestive and helpful to put him/her at ease so that he/she gives all information required by the bank. The banker should be able to know from the interview the customer’s specific requirements, the prospects of his/her employing the funds prudently, his/her capacity to repay and the suitability of the security offered, if any. Enquires may be made to verify the information given by the customer. Lending of money to different kinds of borrowers is one of the most important functions of NCC Bank Limited. Not only this is the most profitable business of the bank and major sources of income but lending is a risky business. Risk involvement may be kept at minimum, if sound lending principles are followed. To do the lending business profitable the following principles may be followed. Another important point to be studied by a banker before lending is the purpose for which the loan is required and also the resources from which the borrower is expected to repay. The purpose of loans helps the banker to determine his/her course of action as regards lending. Bank should avoid making loans for unproductive purpose and speculative activities. Liquidity of money lent is another important principle of lending. Liquidity means availability on readiness of bank funds on short notice. The liquidity of loan means its repayment on demand on due date or after a short notice. Liquidity also means conversion of assets into cash without loss or with insignificant loss. Security is another principle of sound lending which serves as the safety valve for an unforeseen emergency. Not only this, the security accepted by a banker to cover a bank advance must be adequate, readily marketable, easy to handle and free from any encumbrances. Commercial banks obtain funds from Shareholders and if dividend is to be paid on such Shares it can only be paid by earnings profits. This is not possible unless funds are employed profitably. So the banker should not enter into a transaction unless affair return from it is assured. Managerial aspect- Character, Capacity, Capability of management. Organizational aspect- whether proprietorship or partnership. Technical aspect- Location of project, power, construction. Marketing aspect- Marketability of the product. Financial aspect- cost of project, sources & uses of funds profit. Economic aspect- Socio economic benefit and cost analysis. Over financing and under financing arevery common phenomenon in credit portfolio; neither of which is desirable as a sound principle of advance. For a going concern, widely accepted principle of calculating working capital need is already and established factor of sound credit policy deviation fromwhich may lead to catastrophic result and so, it is better to reject proposal instead of under financing. At the same time, over financing will create opportunity to divert fund. The highest priority of consideration is that bank credit must not be extended for speculative purpose and sound credit policies always find out actual credit need depending on nature, volume, and turnover of business as well as capability of the prospective borrower. The most important aspect for consideration is how much a bank can lend taking in consideration its liquidity position, loan able fund and commitment already made. Moreover contingent liability must be taken in to consideration very wisely in sanctioning new loan and enhancing old limits as contingent liability. The recommending as well as sanctioning authority must ascertained and satisfy himself that all advances are for productive purpose, genuine business and tread-need based and neither for speculative nor for unproductive purpose. Here production is to be construed as creation of additional utility for the society. Thus, if advance is canalized for productive purpose, it will broaden economic activity, augment trade and commerce, production will rise, open the door off new economic activity, create employment opportunity, encores young energetic millions to engage themselves in innovative remunerative activity, and increased movement of goods and flow of cash i.e., velocity of circulation of money will automatically be increased which, in banking concept, is known as cash generation. Bank cannot afford a loan turning bad to the detriment of institution and the society and for this purpose, the recommending and sanctioning officer must be acquainted with sound principles of advance, and the ways and means to analyze the risks involved with the proposal processes and the limit sanctioned. Analysis of the Depth or Risk Allied with Each & Every Credit Proposal. Since lending involves risk, the primary concern of branch manager/ sanctioning authority must be to assess the relative risks of loan and advance so as to minimize possibility of loan losses by identifying the weak/ risky areas of a proposal/loan and side by side will also point out the areas of strength and profitably. a) The banking system channels scarce financial resources into those opportunities with maximum return. b) Profitable enterprise receives fund and grow. c) Loss making enterprise is refused funding and goes out of business. d) The bank makes profit and pays tax. e) The CAMEL standard of bank is raised. f) The economy grows and people are benefited at large. Financial analysis involves the use of basic Financial Statement, via; Balance Sheet, Profit and Loss Account and Trading Account. It is a judgment process aiming at evaluating the current and past financial position of a concern. To know the result of operations of an enterprise. To predict future condition and performance of an enterprise. Ratio Analysis depicts financial position, debt repaying capacity performance efficiency and trend of growth (The reverse position as well) of a concern. But the ratios worked out are of no importance if different ratios are not compared in true perspective to arrive at the message the ratios reflect regarding overall position of the concern. Bankers, for lending decision, generally analyze some ratios as can be categorized under following broad heads. Liquidity Ratios reflect liquidity position as well as ability to discharge short term obligation of a concern. Activity Ratios show efficiency in the operational performance of a firm. Financial Leverage Ratios depict long solvency and capital structure position. Profitability Ratios show efficiency in the operational performance of a firm like the activity Ratio. (Net Profit /Net Worth) 100 InterpretationStandard = Higher position indicates higher amount of debts. In order to secure the advance, the bank insists on having suitable collaterals there against and relies more on the credit worthiness of the borrower than on the hypothecated stocks. Credit worthiness of a borrower means the presence of certain factors and special traits of character in him that inspires the banker to have full confidence in his (borrower’s) ability to properly utilize and willingness to repay the advances in time. Set off means total or partial margin of a claim of one person against another in a counter claim by the latter against the former. It is in effect, the combining of accounts between a debtor and a creditor so as to arrive at the net balance payable to each other. It is a right that accrues to the banker as a result to banker customer relation. Whose favor such transfer is made called assignee. And this process of transferring actionable claim in favor of a banker as security in conformity with the provision of transfer of property act 1882. Now what is actionable claim “It is a privilege and orlegal right to take recourse to law by means of filling suit for establishing title on certain assets involving pecuniary interest? Transfer of this right in favor of a bank as security against credit facility (existing or future) is an Assignment. Insurance is a written and definite contract between two parties (who are capable to enter into a valid contract) under which one party (the insured) pays the other party. The insurer, a definite sum of money called premium in consideration of which the insurer agrees to indemnify the losses, under agreed terms and conditions that the insured may suffer due to specified causes and mutually agreed upon and stated in the cover note / Insurance policy. Payment Against Document Sent for Collection. A Loan is an advance for a fixed amount repayable on demand. The loan amount is debited once for all. There cannot be any further debit in a loan account except for interest and other sundry charges. Only usance bills are discounted. As the bills are payable after 30, 60, or 90 days the party wants accommodation against those bills. Discounting of usance bills / promissory note constitute a clean advance. Banks rely principally on the creditworthiness, standing and means of the endorser. The temporary loan, which is allowed to the customer against their application on the basis of trust. It is call loan against trust receive. Validity of LTR will be allowed for 30/60/90/120 days etc. Adjustment of LTR may be made partially or fully. Interest rate of this loan is higher. Interest rate on LTR is charged on monthly basis. It is allowed against security. The temporary loan, which is allowed to the importer against their imported goods, is called Loan against Imported Merchandise (LIM). Validity of the LIM will be allowed as per sanction letter. LIM is generally disbursed once. Interest rate of this loan is higher and it is charged on monthly basis. Control over the imported goods to be absolutely maintain by the bank. Hypothecation is a charge on company for a debt, but neither ownership nor possession passes to the creditors. In hypothecation, both ownership and possession remain with debtor. The charge is created by the debtor to the lender on his execution of a document. As the goods remain in the possession of the borrower, banks grant hypothecation facility normally to first parties. It depends mainly upon the trustworthy of the party. Cash credit allowed against pledge of goods is known as CC (Pledge) limit. Pledge is bailment of goods or securities. The bailment must be by the debtor or intending debtor of intending debtor or his duly authorized attorney. The goods must be in the possession of the pledge. The overdraft is a kind of advance always allowed on a current account operated upon by cheques. The customer may be made any number of limits at the convenience of the borrower, provided the total amount overdrawn does not, at any time exceed the agreed limit. Interest is calculated and charged only on the actual debit balances on daily product basis. When Issuing bank gets the original shipping discontents from Negotiating bank against a letter of credit (L/C), then issuing bank goes through that shipping discernment for scrutiny. After scrutiny of the shipping documents, if the issuing bank finds the shipping documents in order, i.e. as per L/C terms, then issuing bank open a loan account on account of importer. This total process may be defined as Payment against Document (PAD). A contract of guarantee has been defined under section 126 of the Contract Act as “a contract to perform a promise or discharge the liability of a third party in case of his default. The person giving the guarantee is called “Surety” or “Guarantor” and the person on whose account the guarantee is given is called the “Principal Debtor” and the beneficiary of the guarantee is called the “Creditor”. Issuance of Bank Guarantee on behalf of clients is a common banking service rendered by commercial bank. Guarantees are expressed commitment to make good of any financial loss the beneficiary of the guarantee may sustain when the party named in the guarantee on whose account i.e. the principal debtor, guarantee is issued, fails to perform the contract and/or discharge his /her obligation under the guarantee. Though the bank issuing the guarantee is not called upon to pay the amount immediately, the obligation undertaken in the guarantee is of no less importance than that of actual credit disbursed as bank is substituting its own credit where its customers credit fails and on demand the sum guaranteed is payable. It is, as such, a contingent or anticipated financial liability. In keeping with the ever increasing business need of its clients Bank may be required to issue guarantee against advance payment, in the shape of bid bond, Performance bond, investment bank guarantee and the like. For payment to the creditor or to the principal debtor by the guarantor. For payment of price of goods sold. Fidelity Guarantee i.e. to discharge liability of a person for good conduct of a service holder. Before issuance, the specimen of the guarantee should be thoroughly examined to ascertain that is has no ambiguity. The points like (1) the extent of liability (guarantee amount/ interest/charges of extension etc.) should stand clearly defined. It should also be ascertained before issuance of the guarantee whether the client would need further credit facility to enable him to discharge his obligation under the proposed guarantee particularly for bid bond, performance bond or advance payment guarantee for execution/ completion of any work order project should it be allotted to him. Possibilities of such eventuality should be explored and examined very carefully before issuing guarantee. It must satisfy all essentials of a valid contract. Must be three parties (a) Creditor (b) Principal (c0 Surety all must join in the contract. Primary liability is of principal debtor – surety’s liability is secondary i.e. in case of default of the primary debtor. Principal debtor may be a minor—contract enforceable between creditor and guarantor—minor may not pay nor enforceable against him. As the bank has to remain prepared for eventuality of issuing a guarantee, payment of guarantee and creation of forced loan, it is essential that the aspect of security is considered in its truest perspective. A written request specifying the purpose, amount, period and the security offered with supporting papers. The details of security other than cash margin. Specimen of the guarantee. In case a prescribed specimen does not exist, a specimen may be drafted to suit the requirement incorporating the amount, tenor and purpose with bank’s obligationclearly spelled out. Cash margin as may be determined. Counter guarantee/ Indemnity signed by the client, duly drafted by the bank’s lawyer. Specimen of the guarantee duly approved by the customer. As per directive of central bank, in force, besides margin fixed on the basis of banker-customer relation, the uncovered portion of the guarantee is to be got covered by readily realizable security. Age Limit : 20-50 yr. Quantity of Loan : Tk. 1 Lac. Term of Loan : 6 months but not more than three years. Has five years’ experience in business. 2. The customer of the NCCBL who has his current account in the branch of the bank from where he would like to get loan. Age Limit : 30-50 yrs. Qualification : 1. Real Owner of dwelling property. 3. Not over 20 year old property which is going to be renovated and repaired. As approved by the board of directors of the bank in its 117th meeting held on 14th January,2004 and 118th meeting held on 20th January,2004, the interest rate structure on loans and advances of bank has been revised as under which will be effective from 1st January,2004. Outstanding liability against PC & ECC must be adjusted from the export proceeds within due time otherwise penal interest @ 1% on outstanding to be applied for overdue period for first three months& @ 2% penal interest be applied for above three months. In case of all other loans and advances, if outstanding is not adjusted within due date, panel interest @ 2% on the outstanding to be applied. Interest rate @ 12% will be applicable for “Corporate and Prime Customers” depending on their business volume with NCC Bank and its earning from them. Head Office will decide this rate. In line with the policy guidelines issued by the Central Bank from time to time, the bank formulates its own Credit Policy keeping it flexible to accommodate changes that are taking place. The Bank has a diversified portfolio consisting of both traditional and non-conventional ones. Several Small Credit Schemes are on the offer, which received remarkable response from the customer and also helped the Bank to expand its customer base. The Bank is also considering engaging in syndication with other Banks for allowing large loans covering Bangladesh Bank’s rules and regulation. It is a process of system of conversion of one nation currency to another and of transforming money from one country to another. International trade gives exchange opportunity of goods. Consumers get privilege through international trade. Natural assets of a country are to be utilized property. The bank, which is authorized by Bangladesh bank for dealing foreign exchange business on transaction under the FER Act, 1947 is called Authorized Dealership. NCCBL, Kawran Bazar Branch is one of the Authorized Dealership Branch of NCCBL. Import means goods and services purchased from foreign sources. These imports may be used for consumption, investment or government. Whatever their use, imports represents purchase of goods and services that not even produced or purchased but insufficient in a country. As per Import & Export control Act, 1950 no person can indent, import or export any goods in to Bangladesh except in case of exemption issued by the government of the People’s Republic of Bangladesh. So for doing import business at first every importer should obtain Import Registration Certificate. Through public notice or import policy the chief controller of import and exports invites application usually for registration of importers. The following papers / documents are required for submission to CCI & E for Import Registration Certificate. Income tax registration certificate with GM. Certificate of Registration with the Register of Joint Co. & Articles and memorandum of Association in case of Limited Company. The nominated of the applicant will examine the papers/documents and verify the signature of the applicant and forward the same to the concerned office of the CCI & E with a ford wing schedule in duplicate though bank representative. The duplicate copy of the same bearing the acknowledgement of CCI & E office of the receipt of the document is received by the bank and is preserved. Letter of credit is an undertaking giving by the issuing Bank on behalf of its customers to pay a certain some of money to a certain person (beneficiary) on the fulfillment of certain terms of conditions as laid down in the letter. Back-to-Back L/C, Stand by L/C, Circular L/C, Straight L/C. A clause authorizes the beneficiary to draw bills of exchange up to certain on the opener. List of shipping document, which are to accompany the bills. An undertaking by the issuing bank that bills drawn in accordance with the conditions will be duly honored. Instructions to the negotiating bank for obtaining reimbursement of payments under the credit. Importer/Buyer is the party who opens L/C on behalf of exporter by issuing bank. The opening/issuing bank is the bank which opens/issues a L/C on behalf of the importer. It is also called the importer’s /buyer’s bank. Exporter/Beneficiary is the party in whose favor the L/C is established. Advising /Notifying Bank The advising/Notifying bank is the bank through which the L/C is advised to the exporting country & it may be a branch of the opening bank or a correspondent bank. It may also assume the role of confirming and /or negotiating bank depending upon the conditions of the credit. Negotiating bank is the bank that negotiates the bill & pays the amount to the beneficiary. It has to carefully scrutinize the documentary credit before negotiation in order to see whether the documents apparently are in order or not. The advising bank & the negotiating bank may or may not be one & the same. Bank reimbursing bank is the bank, which would reimburse the negotiating bank. It is to be nominated by the issuing bank. Full name & address of importer. Date & place of expiry of the credit. Whether the partial shipment is allowed or not. The type of loading (loading on boarding). Brief description of the goods to be imported. Availability of the credit by sight payment acceptance/deferred payment. The time bar within which the document should be presented. Sales terms (FOB/CIF/C & F). H.S. code number of the goods to be imported. The above information is given along with the following documents. Proforma Invoice, which gives description of the goods including quantity, Unit price etc. Four set of IMP form. The insurance cover note, Issuing Company &the insurance number. Parties involved in a L/C cannot always satisfy the terms & conditions in full as expected due to some unexpected reason. In such a situation, the credit should be amended. NCCBL transmits the amendment by tested telex to the advising bank. In case of revocable credit, it can be amended or cancelled by the issuing bank at any moment & without prior notice to the beneficiary. But in case of irrevocable L/C, it can neither be amended nor cancelled without the agreement of the issuing bank, the advising bank & the beneficiary. If the L/C is amended, service & telex charge is debited from the party account. Wrong tenor shown in the bill of exchange. Partial shipment is beyond L/C limited /terms. Insufficient number of Commercial Invoice. Description of the goods is not consistent with that of L/C. Submission of documents after expiry of Letter of Credit. Some important documents are not presented. If any major discrepancy found in the document it is immediately informed the Importer for his opinion. After repairing the necessary vouchers, endorsement is made on the bank of the B/F- as Received Payment & the B/L is endorsed as Please delivery to the order of M/S——–” under two authorized signatures of NCCBL’s officers (P.A. holders). Then the documents are given to the Importer. Valid Import Registration Certificate (IRC) & Export Registration Certificate (ERC). L/C application & LCA form duly filled up & signed. Insurance cover note with money receipt. 1.The importer and exporter have made a contract before a L/C is issued. Importer applies for a letter of credit from his banker known as the issuing batik. He may have to use his credit lines. If lie is a new customer, margin deposit may be required: e.g. 20% deposit on credit amount. Issuing bank opens the L/C, which is channeled through its overseas corresponding bank, known as advising bank. Advising bank informs the exporter (the beneficiary) of the arrival of the L/C. Exporter ships the goods to the importer or other designated place as stipulated in the L/C. Meanwhile, he prepares his own documents and collects transport documents or other documents (e.g. insurance policy) from relevant parties. All these documents will be sent to his banker, which is acting as the negotiating bank. Negotiation of export bills happens when the banker agrees to provide him with finance. In such case, he obtains payment immediately upon presentation of documents. If not, the documents will be sent to the issuing bank for payment or on an approval basis as in the next step. Documents are sent to issuing bank (or reimbursement bank which is a bank nominated by the issuing bank to honor reimbursement from negotiation bank) for reimbursement or payment. Issuing bank honors it’s undertaking to pay the negotiating bank condition that the documents comply with L/C terms and conditions. Issuing bank releases documents to importer when the letter makes paymentto the former or against the latter’s trust receipt facility. Trade License issued by the Municipal Authority. After getting ERC the export applies to NCCBL (or any other commercial Bank) with trade license & if the bank is satisfied, an EXP issued to the exporter. After making the deal and on having the L/C opened in his favor, the next s for the exporters is to set about the task of procuring or manufacturing contracted merchandise. The following are the documents normally involved at the stage of shipment. Now exporter submits all these documents along with a Letter of Indemnity NCCBL for negotiation. An officer scrutinizes all the documents. If documents are clean, NCCBL purchase the documents on the basis of bad customer relationship. This is known as Foreign Documentary Bill Purchase (FDBP). If the documents have discrepancies. If the banker is in doubt. If the exporter is a new customer. Foreign Documentary Bills of collection signifies that the exporter will receive payment only when the issuing bank gives payment. On board nation of in Bill of lading undated/ unauthenticated. Shipment effected from port other than that stipulated in the credit. Full set of bill of lading not presented. Certificate of country of origin not provided. Cuttings/alternations in documents not authenticated. Documents inconsistent with each other. Description of goods on invoice differs from that in the credit. Documents not presented ‘in timed / stale bill of lading. Absence of signature, where required, on documents presented. Bill of Lading does not evidence whether freight is paid or not. Notify party differs /not as per L/C stipulation. Unit price not mentioned in invoice. Health certificate (fit for human consumption) not submitted. During 2009, the Bank handled export and import business to the tune of tk.11,903.72 million and tk.33,078.44 million respectively.Bank’s numbersence Branches were 20 in 2009, efforts are being taken to increase this in 2010. In the competitive area of marketing are SWOT analysis is based on product, price, place and promotion of a financial institution like private Bank. By doing the SWOT analysis it is possible to find out the strengths, Weaknesses, opportunities, and threats of the NCCBL. From the SWOT analysis we can figure out on going scenario of the Bank. Internal factors which are prevailing inside the concern which include Strength and Weakness. On the other hand another factor is external factors which act as opportunity and threat. 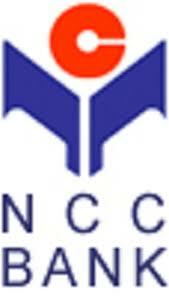 Competitive Salary: NCCBL provides satisfactory salary to their employees. This is the reason why the switching rate is very low among the employees of NCCBL. Wide network coverage: NCCBL has more than 50 branches throughout the country. At present NCCBL has 53 branches operating the banking services around the country efficiently. Proactive in nature: NCCBL experienced huge ups and downs in the banking arena so that they are confident enough to be proactive rather than reactive. Training institute: NCCBL has its own training institute through which their employees get trained and gather knowledge. This is to train their employees throughout the year. Strong Financial Position: NCCBL is a sound company backed by the enormous resource base of the mother concern Rangs group. As a result customers feel comfortable in dealing with the company. Good banker-customer relationship: NCCBL has good relation with their customers. They give service to their regular customers after 3 PM, though the bank is closed after 3 PM. State of the art technology: NCCBL utilizes state of the art technology to ensure consistent quality and operation. The corporate office is equipped with SWIFT (SWIFT is a banking software used by NCCBL). All other branches are also equipped with SWIFT system. Limited workforce: NCCBL human resources compared to its financial activities. There are not many people to perform most of the tasks. Reluctance to advertisement campaign: NCCBL is avoiding the marketing campaign for their new services. This is why the customers do not know about them fully what they are offering. Lack of modern technology: NCCBL is in the backward position because they are not adapting modern technology. They do not yet adapt online services towards their customers while most of the local banks are giving services through online. Since they have lacking of pc based services, officers have to make manual vouchers which take hours after hours. So many areas in the country are still out of their network like whole Barishal Division as well as Greater Mymensingh. Huge business area: NCCBL has large scope of banking operation throughout the country and it is widening day by day. NCCBL is still to cover huge business area including SME sector. Evaluation of E-Banking: Emergence of E-banking will open more scope for NCCBL to reach the clients not only in Bangladesh in Bangladesh but also in global banking arena. Introducing any branch banking through online is great opportunity to them. Launching Credit Card Division: sinceNCCBL deals mostly with credit commerce related business, Credit card division would allow them to make a huge profit innear future. Political unrest: the country faces lot of unrests and turmoil in the recent times, so the banking operation is in the trouble position. Emergence of competitors: Due to high customer demand, more and more financial institutions are being introduced in the country. There are already 52 banks of various types are operating in the country. Many banks are entering the market with new and lucrative products. The market for banking industries is now a buyer dominated market. Unless NCCBL can come up with attractive financial products in the market .it will have to face steep competition in the days to come. Poor telecommunication infrastructure: As previously mentioned world is advancing e-technology very rapidly. Through NCCBL has taken effort to join the stream of information technology, it is not possible to complete the mission due to poor technology and infrastructure of our country. Merger and acquisition: The worldwide trend of merging & acquisition in financial institution is causing concentration. The industry and competitors are increasing in power their respective areas. NCC Bank has Existing software and online system is not up to the mark. Software is not that much user friendly as it should be and they do not have backup online system. As a result if the line creates problem whole system goes down, this causes more customer dissatisfaction rather than desired level of satisfaction. Bank has their marketing department but they do not perform according to the growth or reputation of the company. Still there is some major problem in promotional activities and coverage of the bank. They do not have extensive advertisement for their product or overall banking. Bank does not show adequate interest for introducing innovative banking product or banking service. Still they do not enter any money syndication opportunities. For a well-established bank, they should have a research and new product development department. Lack of investment in new and potential market. Bank still have some confusing branch coverage strategy, like Chittagong division includes Cox’s Bazar and Noakhali. Both of them are big areas. Bank does not have any specialized service marketing strategy. Since banking sector is highly service-oriented organization, they should research on service marketing and trained their employee. Do not have extensive Islamic banking service which is most successful business trend for Bangladesh and all over the world, especially among Muslim people. After a complete analysis and implementation of the NCCBL performance appraisal some facts and recommendations can be taken into account for a relatively meaning full and precise application of the NCCBL performance development. It is matter of fact that we have no industry average to compare with in most case; the concept of market study prior to lending should be introduced for NCCBL. Trade association need to be motivated that NCCBL becomes conscious to maintain industry related data. It is necessary for the NCCBL to encourage business firms to keep financial records as per prevailing standard of accounting. All the financial institutions and banks should take a coordinated effort to persuade the government to take initiative to improve the standard of professional services provided by the Chartered Accountants in our country. However, the NCCBL should improve its internal accounting system in which they maintain their all over the transaction. New pricing methodology should be in the NCCBL strictly implemented after analyzing the overall risk category through credit manual that interest rate being charged reflects risk. Measures should be taken for the NCCBL to create awareness among the borrowers regarding the importance of credit facilities. Credit Department of the NCCBL and financial institutions should conduct real field more elaborately to analyze the credit risk before final decision is taken and market study for lending should gradually be introduced. The NCCBL can encourage investment in small and cottage industry in rural area. In this sector city bank can be play an important role in our country. The NCCBL might take to go for on-line banking system. So far some foreign and private banks like Standard Charted Grind lays Bank, HSBC, and the CITI bank N A is providing. Among the private banks the NCCBL might take the step to introduce on-line banking to its client. More training program need to be arranged for the bankers of the NCCBL so that they can improve their analytical ability and professional regarding the use of credit mechanism and other tools and techniques in selection borrower and evaluating loan proposals. Assessing the security value should also be done in the NCCBL by experienced assessing, so that exact value of security can be reflected. The NCCBL also need to encourage investment in agricultural sector to stay in competition with other private banks. Agricultural investment will be one way to expand its business as rural people. This will be another way of being the dominator in banking business. National Credit and Commerce Bank Limited has started their journey as a full-fledged commercial bank in 1993. They have already passed fourteen long years of their banking life. This bank constantly looks for ways & means to improve productivity by rendering to its customers in order to remain competitive in the market. NCC Bank Limited plays a significant role in various fields in the economy such as industry, trade & commerce, transportation, deposit mobilization etc. It is playing a crucial role in human resource development and in creating new employment opportunities. Despite the decline in interest spread and fee earnings the bank have achieved significant progress in many areas of business in 2006. The operating profit figure at the end of the year stood at BDT 127.00 core recording an increase of 24.50% over the previous year’s figures of BDT 102.00 core. And the paid up capital has increased to BDT 1201.80 million against BDT 975.04 million of 2005. NCCBL has to change their marketing strategy according to market situation. They have to increase their branch network so that they can reach their potential customer. Technology is one of the most important aspects of banking sector. NCCBL should expand their online banking service at least for key business areas. This would give NCCBL huge competitive edge over their competitors & customers will be more satisfied with their service. 1. Gordon. E.&Natarajan. K, Banking Theory, Law and Practice, Eleventh Edition. 3. Annual Report of NCC Bank Limited, 2008-2009. NCCBL: National Credit and Commerce Bank Limited.